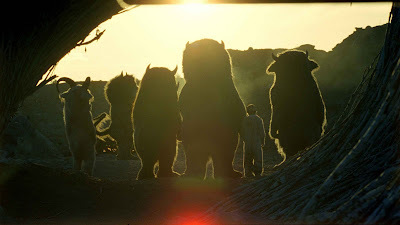 Spike Jonze's highly anticipated Where the Wild Things Are finally comes out in theatres on Oct 16th! Jonze and Charlie Kaufman changed my life with Being John Malkovich (1999), and I've been a loyal fan ever since. Jonze's music videos of the '90s are crazy as well. I'm expecting his adaptation of Maurice Sendak's award-winning children's novel to be nothing short of a "wild" ride. 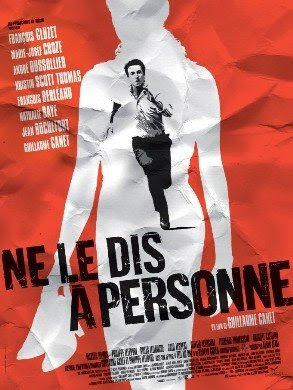 The exclusive featurette is also well worth watching..
Ne le Dis a Personne (Tell No One) (2006), a French thriller directed and co-written by Guillaume Canet, is a film I recently had the pleasure of discovering via Netflix's instant streaming movies section. It centers around a respected pediatrician named Alexandre Beck (Francois Cluzet) who is suspected of murdering his new wife, Margot (Marie-Josee Croze). Alex and Margot have been in love since childhood, and it is clear from the start that Alex would not be capable of such thing. So who could have done it? It is a mystery that has been plaguing Alex's and the police's minds until eight years later, he starts receiving cryptic emails from someone that seems to be his long-lost wife. Meanwhile, two bodies of men are found near the lake that Margot was supposedly murdered at. The police establish that these men murdered Margot, and begin to question Beck about it due to specific evidence found on one of the men's bodies. Shortly thereafter, one of Margot's good friends is mysteriously murdered, and Beck is the prime suspect. The cops are on his tail but he runs away because of a secret rendez-vous set up with the person behind the emails -- who he hopes is Margot. What is going on? Who is doing all this? And what's with the emails? Is Margot actually alive? You'll have to watch to find out. It starts out slow, but as the suspense builds, you can't help but to be swept up in Beck's world of intrigue, obsession, and of course, unconditional love for his childhood sweetheart.